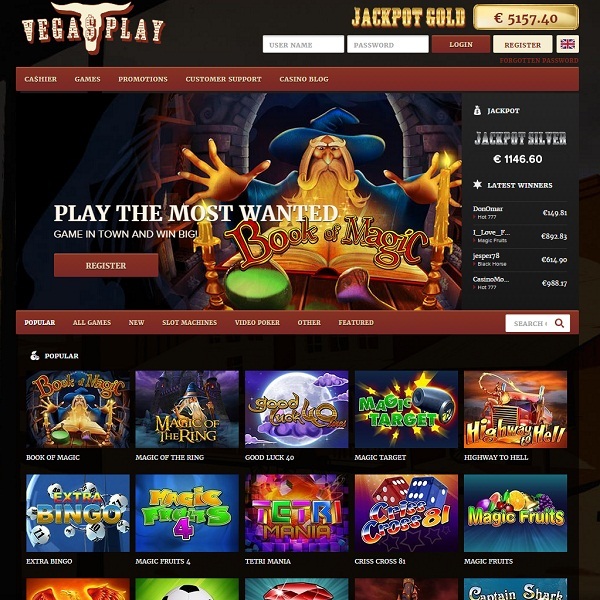 Those looking for a new online casino with some novel games and generous promotions need look no further than the brand new Vega$Play Casino. The casino offers games from Wazdan which means there are some unique titles. There is a fantastic range of slots on offer including titles such as Book of Magic, Football Mania and Wild Girls. The casino also brings members numerous video poker titles, card and table games and various mini games such as bingo. New members at Vega$Play will receive a 100% first deposit bonus of up to €500 after signing up. They can then enjoy a 10% bonus on all subsequent deposits and a €10 bonus for each friend they invite to the casino. The casino is available in English, Czech, French, German, Italian and Polish and is licensed in Malta.